Imogen Foxy Locks: Happy New Year 2010 everyone!! I wish you all a wonderful 2010 and have fun! 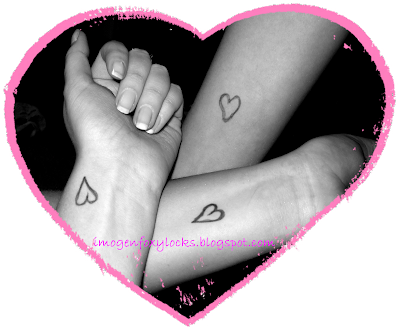 P. S. I love the little hearts you ladies have on your arms! That's so cute! hi! all friends happy new year don't forget visit my blog too and your site is so good I always visit it everyday, you update so quick !